Engr. Raed finished his Bachelor of Science in Chemical Engineering at Ohio State University in May 1998 and earned his Masters in Environmental Science at United Arab Emirates University on March 2004. He then pursued his Executive Diploma in Public Administration along the Sheikh Mohammed Bin Rashid Leader Preparation Program in 2010 at Dubai School of Government and Lee Kuan Yew. He was previously employed as an Environment Pollution Officer in 1998 and became the Head of Environment Control Unit in 2001 until 2008 in Dubai Municipality in which he spear headed the research and studies of Environmental Impact Assessments of almost 2000 premises. Under his supervision were activities involving wastewater, solid waste storage, disposal and treatment monitoring and other environment related concerns. 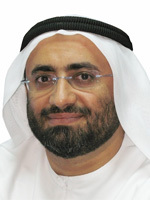 In 2009, and to present, he is the Head of Occupational Health and Safety Section of Public Health and Safety Department of Dubai Municipality and responsible for the management of OH&S inspection program, accident investigation, safety audits, assessment and elimination of illegal labor accommodation and other OH&S related roles and functions. And recently, he spearheaded the OHSAS 18001 Certification of the Public Health and Safety Department.